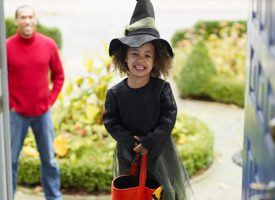 The American Dental Association’s Mouth Healthy website has a great collection of tips for keeping mouths healthy around Halloween and all year long. Those tips are listed below. Visit the page at Mouth Healthy to read all the not-so-scary details. Eat Halloween candy and other sugary foods with meals or shortly after mealtime. Avoid beverages with added sugar such as soda, sports drinks or flavored waters. Chew gum that has the ADA Seal. Visit an ADA member dentist. Your friends at Salem Pediatric Dental & Orthodontic Associates wish everyone a happy and safe Halloween!